Chronic inflammation is one of the most insidious causes of disease in modern society. Certain lifestyle factors increase inflammation and as a result our cells lose the capacity to function at peak performance. The result is the slow deterioration of health that often leads to full-blown diseases like autoimmunity and cancer. In this article, you will discover 5 ways to reduce inflammation quickly! Inflammation is a necessary biological process that signals our immune system to pay attention to certain tissues in the body. When something is not right, the immune system will do what it can to remove the offender. When inflammation is chronically high due to things like poor diet and stress, the immune system quickly becomes overwhelmed. Something that is very critical to understand about inflammation is that it can affect the energetic output of the mitochondria in our cells. The mitochondria in our cells are what make almost all of the energy that our body uses to perform daily processes. When inflammation inhibits mitochondrial energy output your body is immediately at a higher risk of any disease. I always try to address inflammation as a foundational strategy with all of my patients. If you think of your body as a series of radios communicating to each other in order to maintain optimal health, inflammation is like radio interference. By addressing inflammation first and clearing up the static, the body has a much better ability to communicate and heal itself. Because the body relies so heavily on complex communication processes to maintain health, every step must be taken to ensure those communication processes are running uninhibited. Now that we know inflammation is a primary contributor to (or is a major factor in) most chronic diseases, here are 5 effective strategies to combat its insidious effects. Exposure to toxins is one huge factor in chronic inflammation. These could include pesticides, heavy metals, air pollution, mold, and more. On a daily basis, we are exposed to a list of toxins without even knowing it. Hydrating effectively is one of the key strategies to make sure the body is able to effectively detox. Hydrating really well helps to clear out the bowels, keep toxins moving through the liver and kidneys, and helps to eliminate them through sweat. 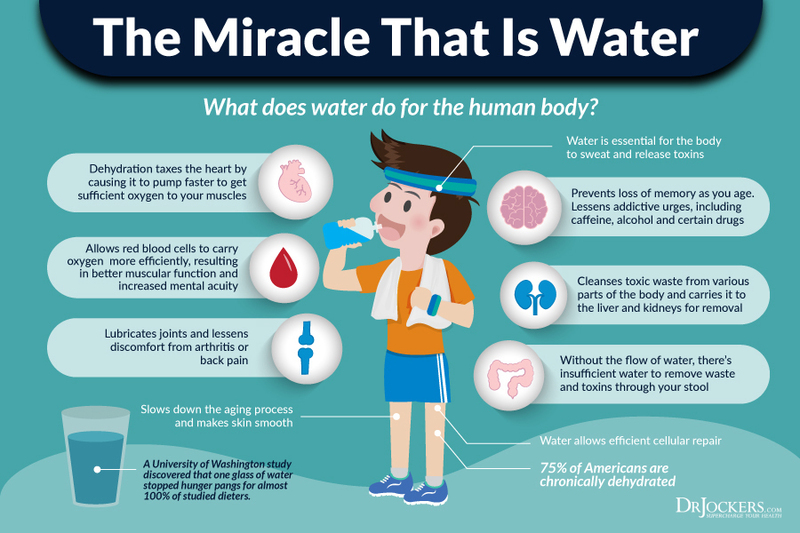 Additionally, your cells require adequate hydration to carry out proper functions. In general, the more hydrated you are, the less inflammation will be present in your body. Make sure your water is tested free of contaminants such as chlorine, fluoride, heavy metals, etc., installing a reverse osmosis water system in your home is a great idea. If your water is full of toxins, it will only add to the problem. Super Hydrate in the morning by drinking 32-64 ounces of water before consuming your first meal. This will help flush out your body and get it primed for the day. Add natural salts such as Himalayan pink to your water to provide electrolytes or sip on diluted full-sodium organic broths. Super hydrating requires extra strategies to ensure electrolytes stay balanced and the nervous sytem can properly transmit signals throughout the body. The chart below outlines the absolute minimum water requirement you should be consuming on a daily basis. For maximum benefits, make it a goal to drink your bodyweight in ounces of water every day. Something that I’ve noticed as I learn more about the human body is that you have to keep things moving. This applies to just about every organ system including the bowels, urinary tract, sweat glands, circulatory system, lymphatics, and even your muscles. Keeping these systems flowing is what keeps them healthy. When we become stagnant in any of these areas problems arise and we often get tons of inflammation. Daily exercise is great for pumping the lymph fluid and boosting circulation. Delivering fresh blood to your tissues is an important strategy for lowering inflammation as it helps to flush away metabolic debris and provide nutrients to inflamed tissues. Make it a priority in your daily life to make sure you are moving your body as much as possible. Go for walks, stretch, and get adequate exercise. Become more expressive and use your body to convey your speech, look for any excuse to move your body. And of course, avoid sitting for extended amounts of time. One powerful strategy to improve circulation of blood and lymph is rebounding. This is simply jumping on a small trampoline and all it takes is 10 minutes to get your circulation pumping. These can be found on amazon for relatively cheap and it is an excellent form of exercise. Finally, some other great strategies are cold showers, sauna, and even massage to help get your blood pumping. One of the most prominent sources of inflammation in our society has got to be the diet. If you want to rid your body of inflammation you need to start thinking about what you are putting into your body. Many people go about their days thinking they are eating healthy when all they are really doing is flooding their body with sugar that is putting their body in a constantly inflammatory state. At the same time, many people are consuming foods that are hard to digest and lead to inflammation in the digestive tract. Chronically inflaming the digestive tract is one of the most common factors I see in people with autoimmune diseases. As gut inflammation leads to leaky gut, unrecognizable, undigested food particles slip into the blood stream and confuse the immune system, causing massive inflammation (5). First and foremost, sugar and grains must be removed from the diet. Anything else that is easily metabolized into sugar should be drastically limited to help balance blood sugar. Replace the majority of calories from carbs with healthy fat sources. I personally heavily rely on coconut oil, grass-fed butter, MCT oils, olive oils, and avocado oils. 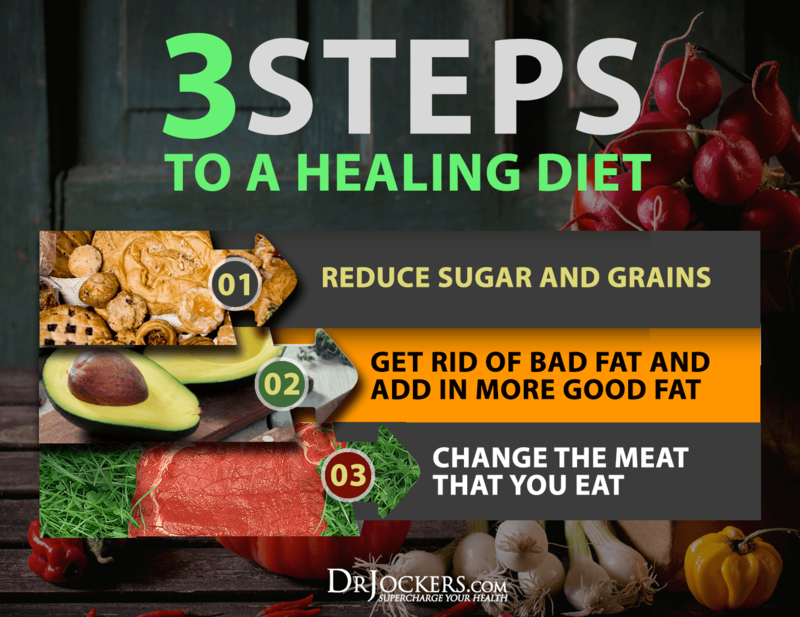 Other great fat sources include coconut milk, avocados, nuts and seeds (if tolerated), and fatty cuts of pasture-raised meats. You will definitely want to avoid highly processed vegetable oils like canola, safflower, and soy at all costs as these are highly inflammatory to the body. Finally, I always emphasize the consumption of a variety of non-starchy vegetables and herbs for phytonutrients and antioxidants. Flooding the body with these nutrients is powerful antioxidant support to combat free radical induced inflammation. Small amounts of low-glycemic fruits like berries, lemons, and limes are great too. Chronic stress causes rampant increases in inflammatory biomarkers called cytokines. If we don’t do anything to control our stress then this cytokine activity can be highly damaging over time (6). Chronically elevated pro-inflammatory cytokine markers are especially bad for the immune system, opening the doors to opportunistic infections and increasing our chances of coming down with an illness. One of the best ways to counteract the stressors of daily life is really getting the best sleep possible. 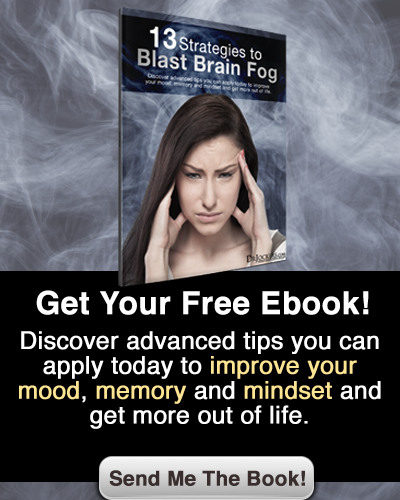 During sleep, your brain flushes out metabolic debris and the body is put into a deep healing state. Chronic stress on top of poor sleep is a recipe for rapid degeneration of health. Optimizing sleep has a lot to do with regulating your circadian rhythm. Your body is designed to be awake when the sun is up and asleep when the sun is down. With so many artificial light sources, the body no longer receives the right signals for sleep. In addition to the strategies listed so far, there are certain supplements that have been shown to be powerful modulators of inflammation. I usually tell people that supplements are not required, although they certainly can help speed the healing process for those who are struggling with a health challenge. Chronic inflammation and pain can be an emotional challenge to overcome and sometimes these people need all the help they can get to put them over the hump and on their way to optimal health once again. Omega-3 fatty acids are one of the most foundational supplements for mitigating inflammation. Most people today are consuming highly processed diets that are high in Omega-6 fats and deficient in Omega-3. This imbalance alone contributes to higher levels of inflammation as omega-6 fats are involved in the eicosanoid pathway (responsible for producing inflammation). By increasing your ratio of Omega-3 to omega-6 fats using 2-5 grams of a high quality purified fish oil, you are doing your inflammation a great favor. In fact, the combination of omega-3 fatty acids in conjunction with flavonoids has been shown in controlled trials to stimulate the immune system while also downregulating inflammatory markers in the body (7). This means consuming omega-3 fish oils with the next supplement may be a powerful strategy given that it has similar properties to flavonoids. Curcumin is one of the most comprehensively studied anti-inflammatory compounds. Derived from the indian root spice, turmeric, this compound has tremendous healing potential in many areas of disease which may have a lot to do with its ability to mitigate inflammation (8). While turmeric is great to add to meals, and I definitely recommend doing so, I have found that a standardized curcumin extract in liposomal form is one of the most powerful anti-inflammatory compounds I have come across. Liposomal curcumin is packaged in microspheres called liposomes that allow this nutrient to diffuse straight into the cells where it is needed most. 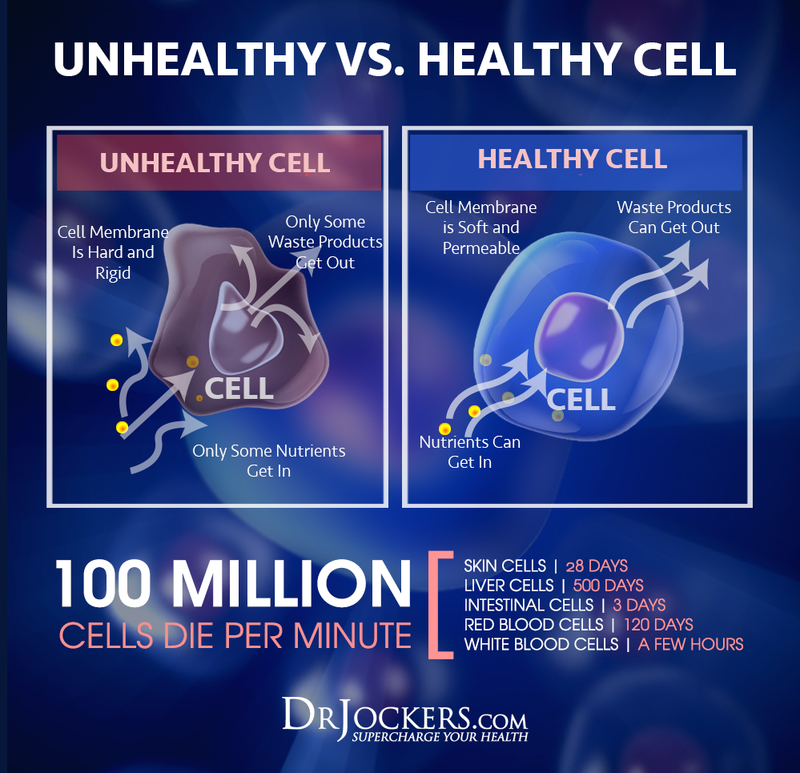 Because inflammation is so detrimental at the cellular and mitochondrial level, this is an important consideration. Vitamin D is arguably one of the most powerful nutrients responsible for modulating and coordinating the immune system. By re-coordinating the immune system, vitamin D has a powerful anti-inflammatory effect. Vitamin D deficiency is vastly common in our society due to sunscreen use and low amounts of sun exposure. On top of this, the average diet is severely lacking dietary sources of Vitamin D such as organ meats and certain fish. For most people experiencing chronic inflammatory conditions, I will recommend up to 2000IU of Vitamin D per 25 lbs. of bodyweight or at least 10,000 IU total and always in conjunction with Vitamin K2. Glutathione is our master anti-oxidant that regulates all other anti-oxidants within the body. Having high amounts of glutathione in the body is key for mitigating the inflammatory effects of free radicals. Free radicals are upregulated during any time of stress whether it is lifestyle or something like a bacterial imbalance in the gut. For clinical applications, I will either use glutathione boosting agents like N-acetyl cysteine (NAC) or acetylated glutathione. 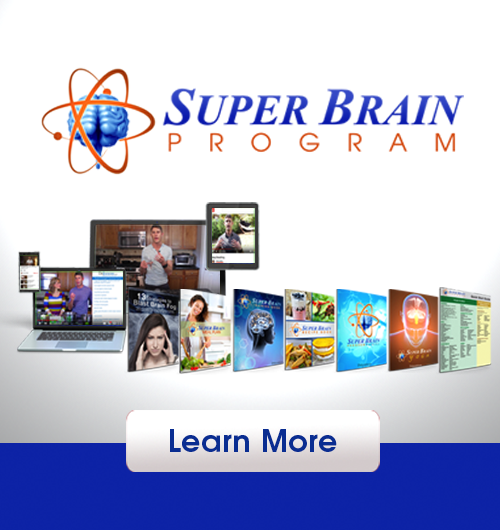 For this purpose, I will personally reccomend Brain SuperCharge or the following supplement. While there is a long list of supplements which can play a powerful role in mitigating excess inflammation, I have found one to be an incredible one-stop-shop if you will. The lifestyle strategies mentioned are absolutely necessary to controlling inflammation. When it comes to supplemental support in addition to these strategies, Omega-CRP is the most powerful and comprehensive supplement I have come across. In addition to being one of the highest-quality fish oils on the market, it has one of the most potent curcumin extracts alongside powerful glutathione boosting agents. This is my go-to for anyone facing a health challenge with a heavy inflammatory influence that is contributing to it. 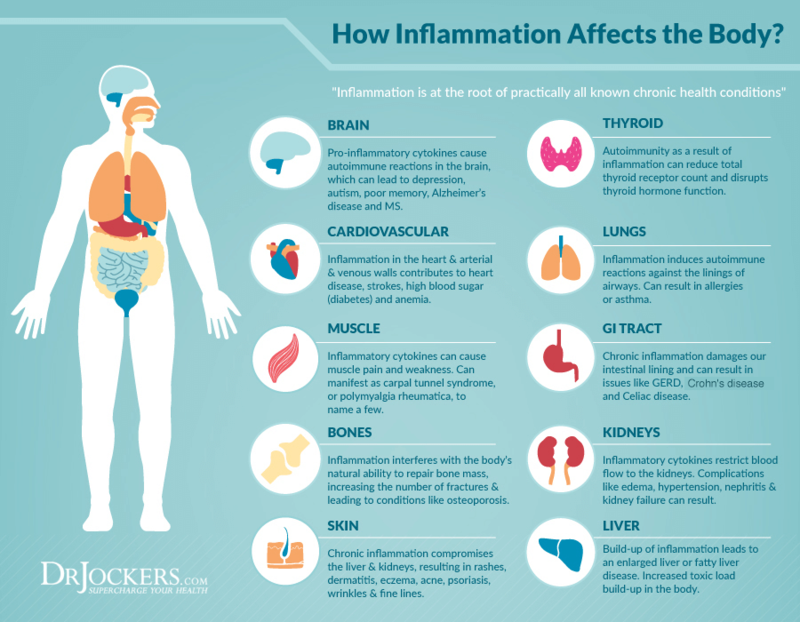 Inflammation contributes to just about every chronic disease. In some diseases, it can actually be considered one of the primary contributors. Following the strategies outlined in this article will drastically increase your body’s innate ability to heal itself. Like I said before, inflammation is like radio interference for the communication processes that are responsible for healing in the body. By reducing inflammation, you re-coordinate these signals and healing happens much more quickly. Dr. David Jockers is a doctor of natural medicine, functional nutritionist and corrective care chiropractor. He currently owns and operates Exodus Health Center in Kennesaw, Georgia. He has developed 6 revolutionary online programs with thousands of participants. Let’s Improve Your Health Today! Can u secure a search on ur website? Just want to say, I really enjoy you & your family. God’s blessings to you all. Thank you for sharing it all. Thank you for reading Dayna! Blessings! Today, inflammation is the first cause of many diseases. I thought avocado oil has about the highest smoke point of any cooking oil but you are listing it with olive oil and such. Hi Dr, Jockers, I am having problems with my gut. I drink green juice in the mornings, kale spinach parsley and I added other greens too. I realize whenever I drink this juice my pooped is black for days, and my stomach growled alot I am also passed gas that smelt awful. I need help. Hey Mossana, sorry to hear about this. There could be a few things going on here. I would recommend sending an email to michael@drjockers.com to get set up on a coaching plan! Hi Doctor , I am suffering from inflamation and facing lots of heath issues like fatigue, loss of stamina, burning sensation in legs, food digestion. I need your help in this regards. Sorry to hear this Sameer, you may want to do some coaching. Email michael@drjockers.com to get that set up! Im writing to you from Australia. I have been disgnosed with severe osteoarthritis. So far the area’s affected are my hands, hips, spine, neck and i have planter facitis. My knees are only a little achy at this stage. I have suffered with Insomnia and stress for at least 30 years. I also have no gall bladder. I have been to Gps, a holistic Gp and a naturopath. My problem is I am getting different information from every one and i just simply cant afford to waste time and money on things that dont work.. There is a lot more to my story but I don’t want to go on too much about it on here. I was wondering if I could contact you or one of your trusted colleagues somehow to discuss my situation as I would love your advice and guidance. Hey Josephine, yes you can get in touch with michael@drjockers.com about this! is that a different issue? what is a ballpark mix of Sea Salt per gallon of water? Hey Ted, I am not a fan of alkaline water. If it is only slightly alkaline that is okay, but super high alkalinity can cause digestive issues. More importantly you will want reverse osmosis water. I like adding a pinch of Celtic salt to each glass so in a gallon you could do something like a 1/4 teaspoon! No gluten and grounding mat at night may help swelling/inflammation. Organic sulfur may help and no GMO/sugar/soy/food with a label. Moving the inflamed part of my body seems to work the best for me. Thanks for the great article. Do you think intermittent fasting would help to fight inflammation? I have one more question. Is soy milk good or bad for inflammation? I found that some people say soy should be avoided and some opposite. I’m confused. I don’t recommend soy, it is inflammatory! Is the Pro Omega CRP safe for those of us with histamine intolerance? Thank you! Yes it is for sure! I was wondering if you think this anti-inflammatory approach could be beneficial for mental healthcare? My son has been struggling with mental health issues (schizo-affective disorder) for several years and I am looking into dietary solutions along with medication and counseling. The medication (antipsychotic) has so many negative side effects as well as potential long term brain damage. I want to carefully venture into alternative treatments for him. I started thinking in terms of diet when I saw a book at Barnes N Noble about how inflammation could be a contributing factor to mental issues. When I explored further, I came across this incredibly insightful article that you wrote. I would appreciate any feedback you can offer. I have a dear friend who was suicidal for a number of years. He would have flareup episodes several times a wee. It was terrible. They did the Whole 30 elimination diet, and he found out that for him, soy was the culprit. I recommend doing that diet to discover what your son’s trigger(s) are, and then work from there. Hacking read all your email posts I did not see anyone questioning timing for meds when utilizing your suggestions. I would like to try your recommendations but need to take Synthroid for my thyroid at least one hour before ingesting anything. I have been challenged with slippery elm use requiring 4 hours before or after any meds. I take .25 mg of metro pro lol for palpitations in AM also. With not much time in the AM, I’m wondering how complicated and further stressed all this timing and food prep can be. was normal. I will try the baking soda test but already know even water can produce quick small burp or gurgle. Thank you for this opportunity to consult you. Yes take your medications as directed. Blessings! Check out our latest training videos on navigating the ketogenic diet, supplements to detoxify your body and more. © 2019 DrJockers.com. All Rights Reserved.